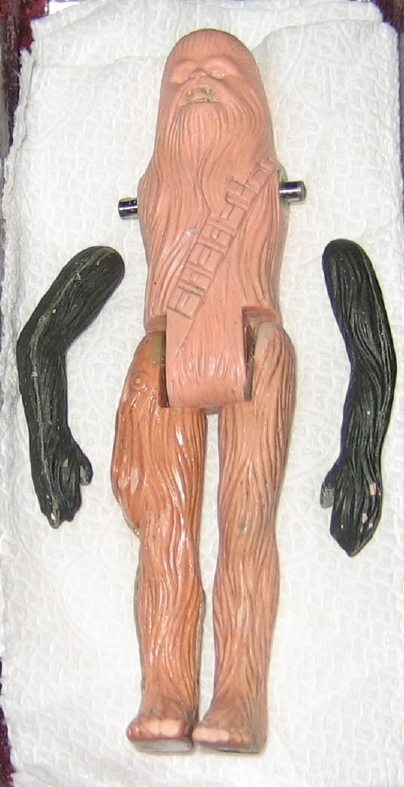 This is the original sculpt for the Chewbacca action figure, introduced by Kenner in late 1977 in the Early Bird package. As one of the first four action figures ever made for Star Wars, this wax sculpt has the original legs and torso alongside hardcopy arms. Extremely few sculpts of the original Kenner action figures have lasted until today, and this is the only known example of a sculpt for one of the four Early Bird figures.